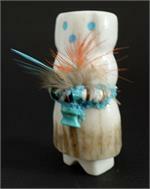 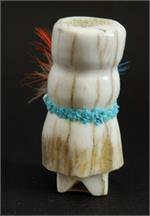 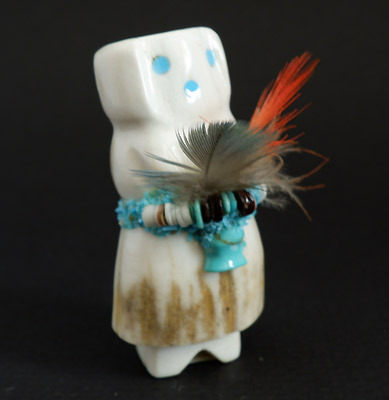 This is a great example of a traditional alter doll figure made of deer antler. 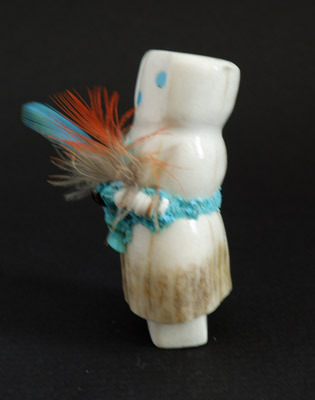 Marvelita Phillips is known for her old-style carvings and also for her fetish bowls covered in crushed turquoise and fetish carvings tied on to the sides. 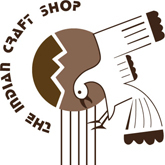 Height 2 1/4", Width 1", .75"